Film Crit Hulk Smash: Hulk Vs. The Two Hugos | Birth.Movies.Death. HUGO is wondrous. HUGO is boring. Hulk takes a look at the script to discover the root of the incongruence. THAT BASIC TRUTH BECOMES AN INESCAPABLE FACT WHILE WATCHING THE FILM, AS IT IS BASICALLY ONE LONG, SWEEPING ARC OF CINEMATIC JOY. IT IS THE CLEAR WORK OF A MASTER OF HIS CRAFT. WE ARE TREATED TO HEAPS OF MINUTE PRODUCTION DETAILS, A WHOLE WORLD BROUGHT TO LIFE WITH VOYEURISTIC PANACHE. AND THE FILM MANAGES NOT JUST TO BE A LOVE-LETTER TO EARLY CINEMA, BUT FEATURE ON-KEY PERFORMANCES, EMOTION, GRANDEUR, AND PERHAPS THE BEST USE OF 3D HULK'S EVER SEEN. IT ALSO HAS SOME MAJOR SCRIPT PROBLEMS... BUT HEY, IT'S A MOVIE AND THAT SEEMS TO HAPPEN A LOT. THIS SAD REALITY OF MODERN STORYTELLING ALSO BRINGS UP AN INTERESTING QUESTION: WHAT IS THE MOST IMPORTANT THING ABOUT A MOVIE? THE SIMPLE ANSWER IS A BLANKET "WHATEVER YOU'RE LOOKING FOR," BUT HULK TRY TO ARGUE THERE A NUMBER OF ASPECTS OF FILMMAKING, WHICH, AS-OBJECTIVELY-SPEAKING-AS-POSSIBLE, MATTER. THERE ARE ASPECTS OF PRESENTATION AND SOUND (IE "CRAFT") WHICH STRIKE THE AUDIENCE MEMBER WITH EMPATHIC AND VISCERAL REACTIONS. BUT MOVIES ARE AT THEIR BEST WHEN THESE VISCERAL MOMENTS OF EMPATHY COMBINE WITH LONG-FORM PLOTTING, THEMES, AND CHARACTER-BASED IDEAS THAT THE AUTHORS PUT FORWARD. AND THE TIMES WHEN THESE TWO ASPECTS OF VISCERA AND THEME BLEND SEAMLESSLY? THEY CREATE EMOTIONAL CATHARSIS IN THE VIEWER AND UNLOCK THE TRUE JOYS OF NARRATIVE FICTION. SO THE QUESTION BECOMES, WHAT HAPPENS WHEN A DIRECTOR MASTERS HIS CRAFT, BUT IS STILL CRAFTING AN IRRECONCILABLE STORY/THEME? AND MOVIES THAT RESONATE ON EVERY LEVEL... LAST. SO AGAIN, THERE IS A CAPACITY TO WHICH HUGO IS A WONDER TO BEHOLD, WHICH MAKES IT SEEM LIKE IT CAN OVERCOME ANY NARRATIVE PROBLEMS PURELY THROUGH THE SURE-HANDED GUIDANCE OF ONE OF THE GREATEST FILMMAKERS EVER... BUT THE SCRIPT, IN AND OF ITSELF, IS STAGNANT. WHAT MAKES THE MATTER MORE PROBLEMATIC IS THAT THIS SPECIFIC PROBLEM IS NOT A FUNCTION OF ANYTHING ABOUT THE FILM BEING "BAD." IN FACT, JOHN LOGAN IS A GOOD WRITER WITH STRONG ENOUGH HISTORY. SO THIS IS NOT A CASE OF THERE MERELY BEING "BAD STUFF"IN THE MOVIE... THIS IS ABOUT GOOD STUFF IS ACTUALLY MISSING... THE CRITICAL STUFF. SIMPLY PUT, THERE'S NOT A LOT FOR THE CHARACTERS TO DO. FOR THOSE WHO HAVE NOT SEEN THE FILM, PERHAPS YOU MAY WANT TO TURN AWAY NOW CAUSE HULK GOING TO TALK ABOUT SOME STORY POINTS INCLUDING THE FILMS "REVEAL" BUT IT REALLY NOT SPOILING... SO HULK NOT SURE, IT UP TO YOU REALLY ... OKAY COOL... BASICALLY THE FILM HAS ONE CENTRAL MYSTERY THAT IT PUTS FORTH AND IT SPENDS JUST ABOUT THE ENTIRE FILM TRYING TO UNLOCK IT. BUT IT ACTUALLY TAKES THE WRONG APPROACH TO TELLING THAT MYSTERY. STORIES OF MYSTERY USUALLY WORK BEST WHEN UNVEILED THROUGH A SERIES A INTERLOCKING POINTS, WHICH EVENTUALLY LEAD THE PERSON ON A PATH BACK TO THE MAIN MYSTERY AND CONCEIT. INSTEAD, HUGO EXPLORES THIS CENTRAL MYSTERY THROUGH A LONG SERIES OF APPROACHES AND REFUSALS INVOLVING THE PRINCIPALS OF THE CENTRAL MYSTERY ITSELF. FOR INSTANCE, PEOPLE ARE CONSTANTLY WITHHOLDING INFORMATION THAT WOULD HELP MOVE THE STORY FORWARD... AND THEY NEVER SEEM TO HAVE ANY CLEAR REASONS TO WITHHOLD SAID INFORMATION, YOU KNOW, OTHER THAN JUST NOT GIVING AWAY THE WHOLE MOVIE YET. IT'S VILE STORYTELLING TACTIC AND THIS HAPPENS CONSTANTLY IN FILM. IT FEELS LIKE TREADING WATER. SURE, SOME STUFF HAPPENS, BUT THERE IS NO ACTUAL PROGRESS CHARACTER OR PLOT-WISE.. WE JUST GET MORE BITS OF VAGUE INFORMATION FOLLOWED BY MORE REFUSALS. ULTIMATELY, IT JUST MAKES THE WHOLE "REVEAL" PRETTY CLEAR LONG BEFORE IT ACTUALLY GETS THERE (SPECIFICALLY IF YOU KNOW ANYTHING ABOUT THE REAL-LIFE HISTORY OF CERTAIN PEOPLE INVOLVED). TO USE A VISUAL METAPHOR. IMAGINE A MOVIE ABOUT THE SCALING OF MT. EVEREST. NOW PRETEND THE MOVIE SIMPLY COVERS THE LAST 20 FEET AND THAT'S IT, SO THEY'RE ALREADY PRETTY MUCH THERE. NOW PRETEND THE CHARACTER FALLS DOWN EVERY TIME THEY TRY TO SCALE IT... FOR TWO HOURS. YEAH... EXACTLY (THEN AGAIN YOU'D ALSO HAVE TO IMAGINE IT'S BEAUTIFULLY MADE). THIS IS A CRAZY, EXTREME EXAMPLE TO BE SURE, BUT IT GETS TO HEART OF THE PROBLEMS OF THE MOVIE. REFUSALS STOP ANY FILM FROM PROPELLING FORWARD. LIKE THE CHARACTER, THE AUDIENCE STOPS DEAD IN ITS TRACKS AND SITS THERE WAITING FOR THE STORY TO START MOVING AGAIN. IT'S A FUNDAMENTAL PROPERTY OF STORY TELLING. HECK, THERE'S A REASON IMPROV GROUPS ARE TAUGHT TO AGREE ALL THE TIME AND NEVER MAKE A DENIAL, IT'S WHAT MAKES STORIES WORK! AND REALLY, IT'S AMAZING HOW MANY MOVIES (LIKE GREEN LANTERN FOR EXAMPLE) TRY TO ACHIEVE DRAMA THROUGH THE CONSTANT MEANS OF HAVING A CHARACTER REFUSE TO COMMIT TO ACTION. IT IS OF COURSE MEANT TO SHOW TORMENT OR CONFLICT OR SOMETHING, BUT IT USUALLY DOESN'T WORK... AT ALL. (2) AND FOR MOST OF THE RUNNING TIME IT DOESN'T WORK FOR HUGO... THAT IS UNTIL THE END, WHEN THE FILM COMES TO THE CRUX OF ITS THEME (IE "FIXING") AND IT HITS THE EMOTIONAL RESONANCE OF THE MATTER WITH THE MOVIE'S VERSION OF A CATHARTIC SAVING THROW... IT IS HERE THE MOVIE FINALLY FEELS ALIVE. IT MIGHT EVEN JUSTIFY THE WHOLE THING. THIS CAN TRANSLATE MANY WAYS AND PERHAPS ANY OF THEM FAIR. YOU CAN THINK THE MOVIE IS WONDROUS (WHICH IT IS) AND YOU CAN THINK THE MOVIE IS BORING... REALLY, YOU CAN THINK IT IS WHATEVER YOU WANT. BUT HULK ALWAYS LIKES TO PLAY SCRIPT DOCTOR AND HULK SEES A SCRIPT THAT LOST A LITTLE BIT OF PURPOSE AND TRIED TO RELY ON BEING A ONE-TRICK PONY. BUT STILL... MR. SCORSESE TURNS IT INTO SOMETHING TRULY WONDROUS. HUGO WORKS... AND HUGO DOESN'T WORK. 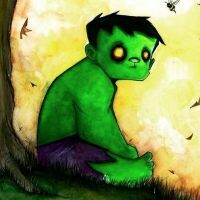 (1) - HULK COULD MAKE A SNARKY LIST OF POPULAR MOVIES HULK THINKS USE GREAT FILMMAKING, BUT DON'T MAKE A LICK OF THEMATIC SENSE AND THUS PROVIDE A KIND OF "FALSE CATHARSIS," BUT THAT WOULD BE... YOU KNOW... SNARKY... OKAY FINE HERE'S A THREE: CRASH, LITTLE MISS SUNSHINE, MYSTIC RIVER. THERE. BUT THAT'S A WHOLE OTHER CONVERSATION. (2) - REMEMBER LUKE SKYWALKER REFUSES THE CALL IN STAR WARS FOR ALL OF 30 SECONDS OF SCREEN TIME. (3) - THIS IS NOT TO IMPLY ALL MOVIES HAVE TO BE THE BASTION OF NARRATIVE. BUT THERE ARE MOVIES THAT CALL FOR ARTISTIC INVERSION OF NARRATIVE AND MOVIES THAT, WELL, DON'T. AND THIS MOVIE AIMED AT FAMILIES CALLED FOR MORE NARRATIVE AND LESS OVER-RELIANCE ON A SINGLE PLOT MECHANISM.